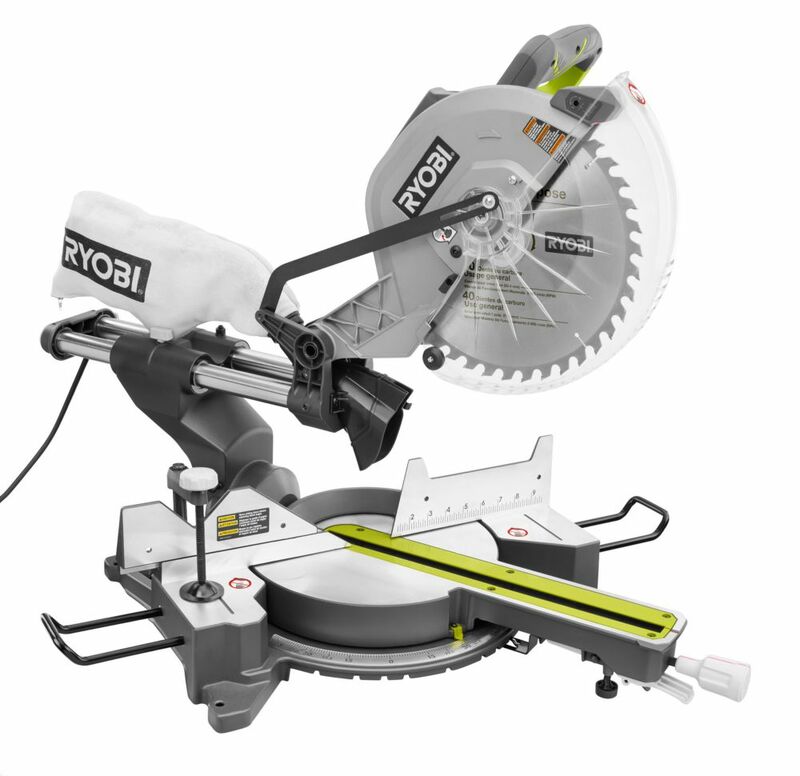 Introducing the new 12-Inch sliding miter saw from Ryobi. This saw matches pro worthy features such as a heavy-duty motor and an adjustable laser at an incredible value making this saw a no brainer for any home or jobsite. This saw is backed with Ryobi's 3 year limited warranty. The RAGE3 offers all the functionality of a normal miter saw, while cutting through materials never thought possible. This 10" sliding compound miter saw will cut steel, aluminum, plastics, wood with nails; using just one blade. The cut is fast, clean and accurate; producing no burr and virtually no sparks when cutting steel. There is no heat buildup either, so the material is cool and can be handled straight away. Multi-Material cutting is coupled with useful features such as an in-line handle enabling right or left handed use, adjustable cutting depth for grooving, laser guidance system and robust outer casing enhancing durability. A high torque motor and optimized gear box make this a powerful and reliable compound sliding miter saw. A full range of blades is also available (sold separately) to turn this saw into a sliding tile cutter and to allow for more specific metal cutting applications. The Rage 3 Sliding Compound Miter Saw, comes with Evolution's 3 Year Limited Warranty. 15 Amp 12-Inch Sliding Miter Saw with Laser Introducing the new 12-Inch sliding miter saw from Ryobi. This saw matches pro worthy features such as a heavy-duty motor and an adjustable laser at an incredible value making this saw a no brainer for any home or jobsite. This saw is backed with Ryobi's 3 year limited warranty. 15 Amp 12-Inch Sliding Miter Saw with Laser is rated 4.5 out of 5 by 653. Rated 5 out of 5 by MJM from Easy to make alignments during setup and sits nicely on... Easy to make alignments during setup and sits nicely on my new Ryobi stand. Rated 5 out of 5 by BradO from I have only used this a few times, but initial... I have only used this a few times, but initial impressions are very good and particularly a good value. I had a DeWalt for a long time that I really liked using but it eventually fell apart so I am hoping this Ryobi will give me another good long run. Rated 4 out of 5 by HomeDepotCustomer from It had all the features that i needed and at... It had all the features that i needed and at a great price including a blade and a laser. Rated 5 out of 5 by AB from I am not sure how I lived without it......seriously though, great product. Picked it up on Friday... I am not sure how I lived without it......seriously though, great product. Picked it up on Friday, had over a hundred cuts by Sunday! Worked flawlessly.